A consumer pressure campaign against labor abuses in the chicken-processing industry has produced some initial results, with a detailed pledge this week from Tyson Foods to build a better workplace for its 95,000 employees. The campaign, led by the famed hunger-fighting group Oxfam America, is challenging Tyson and three other large chicken producers to improve on their collective record of chronic worker safety problems, poverty-level wages and anti-union attitudes. It was launched in late 2015 with the help of a coalition of like-minded groups, including the United Food and Commercial Workers (UFCW) union. Tyson’s pledge is the campaign’s first visible success. Improving and expanding other existing company-wide programs for worker health and well-being. Oxfam campaign chief Minor Sinclair echoed Perrone’s call that other chicken producers adopt Tyson’s approach. The three other companies targeted by Oxfam—Pilgrim’s Pride, Perdue and Sanderson Farms—have thus far refused to engage with the Oxfam-led coalition, Sinclair tells In These Times. The three are now “lagging behind” in their treatment of workers and their sensitivity to the concerns of consumers, he says. Sinclair credited other organizations in the “Big Chicken” coalition for the initial breakthrough with Tyson. In addition to UFCW, other prominent members include the National Association for the Advancement of Colored People (NAACP), the Southern Poverty Law Center and the Northwest Arkansas Workers’ Justice Center. Even the U.S. Department of Labor has supported the safety goals of the coalition, he says. Tyson itself has only recently had a change of heart about the Oxfam campaign, Sinclair continues. For the first year or so, Tyson typically ignored Oxfam and its allies. “For many months we felt stonewalled.” But a change came in late 2016, he says, at about the same time Tyson named Tom Hayes as the new chief executive. “I can’t really say the exact reason that Tyson changed its attitude, but I don’t think it is a coincidence,” Sinclair said about the change in leadership. UFCW is the largest union at Tyson, representing about 24,000 of its hourly workers, says company spokesman Gary Mickelson. There is some unionization at 30 of the company’s 100 U.S. food-product plants, he says, with a handful of other unions representing an additional 5,000 employees. One of the other union is the UFCW-affiliated Retail, Wholesale and Department Store Union (RWDSU). Randy Hadley, a RWDSU organizer, tells In These Times he hopes to see results from Tyson’s pledges soon. 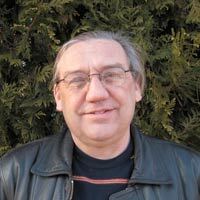 A cavalier approach to worker safety has characterized the meat industry for decades, he says, and improvements are long overdue. “I hope this isn’t just a bunch of PR nonsense,” he says. RWDSU, which represents Tyson workers in one of the Alabama chicken plants, has seen an increased emphasis on safety recently, according to Hadley. Language barriers are the biggest obstacle to effective safety training, Hadley adds, because Tyson recruits a lot of new immigrants, including political refugees from the Middle East and other hot spots, to work in the chicken plants. “We have another plant that we represent in Tennessee. When we print out our union literature, we do it in 17 different languages. And some of these folks can barely read, even in their own home language,” Hadley says. As part of the new commitments announced this week by Tyson, the company pledged to expand its in-house program called “Upward Academy,” which offers courses in English as a Second Language (ESL) and other services aimed specifically at new immigrants. This week’s announcement follows the company’s 2015 move to raise wages at most of its plants. At that time, Tyson said it would establish a new minimum of at least $10 an hour, up from $8 to $9 an hour. Top labor rates for certain skilled maintenance jobs were to be raised to as high as $26 an hour at the same time. This blog originally appeared at Inthesetimes.com on April 28, 2017. Reprinted with permission. 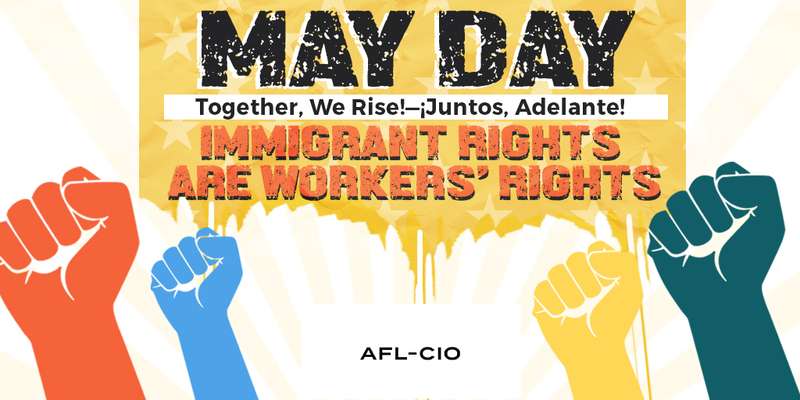 Throughout North America and globally, May 1 is a day to remember and respect workers’ rights as human rights. As working people take to the streets in communities around the world, a quieter but equally important movement of workers on both sides of the United States–Mexico border has been growing. Whatever language we speak and wherever we call home, working people are building power, supporting labor rights and fighting corruption—and we’re doing it together. Our agenda is simple. We oppose efforts to divide and disempower working people, and we oppose border walls and xenophobia anywhere and everywhere. We want trade laws that benefit working people, not corporations. And we want economic rules that raise wages, broaden opportunity and hold corporations accountable. Nearly 20 years ago, many independent and democratic Mexican unions began an alliance with the AFL-CIO. We’ve developed a good working relationship. We’ve engaged in important dialogue and identified shared priorities. Now we are ready to take our solidarity to the next level, turning words into deeds and plans into action. You see, we believe no fundamental difference exists between us. We share common values rooted in social justice and a common vision of the challenges before us. The corporate elite in the United States and Mexico have been running roughshod over working people for too long. Corporate-written trade and immigration policies have hurt workers on both sides of the border. We each have experienced the devastation caused by economic rules written by and for the superrich. Those of us in the United States can see how unfair economic policies have destroyed Mexico’s small farms and pushed many Mexicans to make the perilous trek north or settle in dangerous cities. Many in Mexico are worried about their own families, some of whom might be immigrants in the United States today. Workers in the United States share their concern, especially as anti-immigrant sentiment has become disturbingly mainstream. The truth is more and more politicians are exploiting the insecurity and pain caused by corporate economic rules for political gain by stoking hatred and scapegoating Mexicans and other Latin American immigrants. We will not be divided like this. Workers north and south of the border find the idea of a border wall to be offensive and stand against the criminalization of immigrant workers. We need real immigration reform that keeps families together, raises labor standards and gives a voice to all workers. Instead of erecting walls, American and Mexican leaders should focus on rewriting the economic rules so working people can get ahead and have a voice in the workplace. One of our top priorities is to transform trade deals like the North American Free Trade Agreement into a tool for raising wages and strengthening communities in both countries. We’re outraged by the kidnapping and murder of the 43 students from the Ayotzinapa Rural Teachers’ College, as well as too many other atrocities to list. America’s unions are democratic in nature and independent of both business and government, but that’s mostly not true in Mexico. A key step in ending violence and impunity in Mexico and raising wages and standards on both sides of the border is to protect union rights and the freedom of association in Mexico. We’re united. We’re resolute. We are ready to win dignity and justice for all workers. This blog was originally posted on aflcio.org on May 1, 2017. Reprinted with permission. 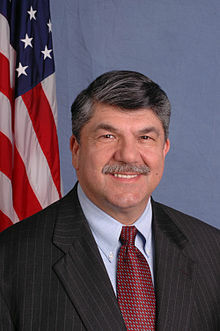 Richard L. Trumka is president of the 12.5-million-member AFL-CIO. An outspoken advocate for social and economic justice, Trumka is the nation’s clearest voice on the critical need to ensure that all workers have a good job and the power to determine their wages and working conditions. He heads the labor movement’s efforts to create an economy based on broadly shared prosperity and to hold elected officials and employers accountable to working families.